What a treat of a Monday arvo eh? 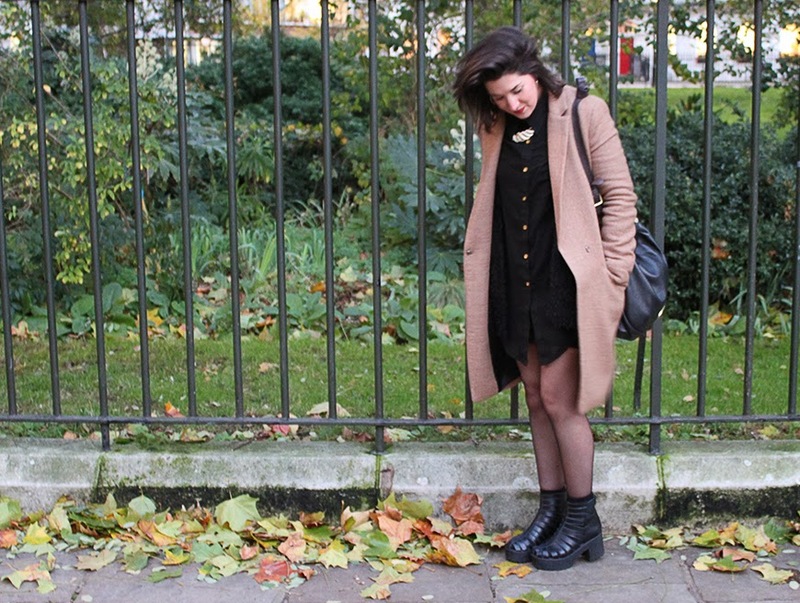 Not only do you get a nice new outfit post from yours truly you get a brand spanking new blog layout to boot! 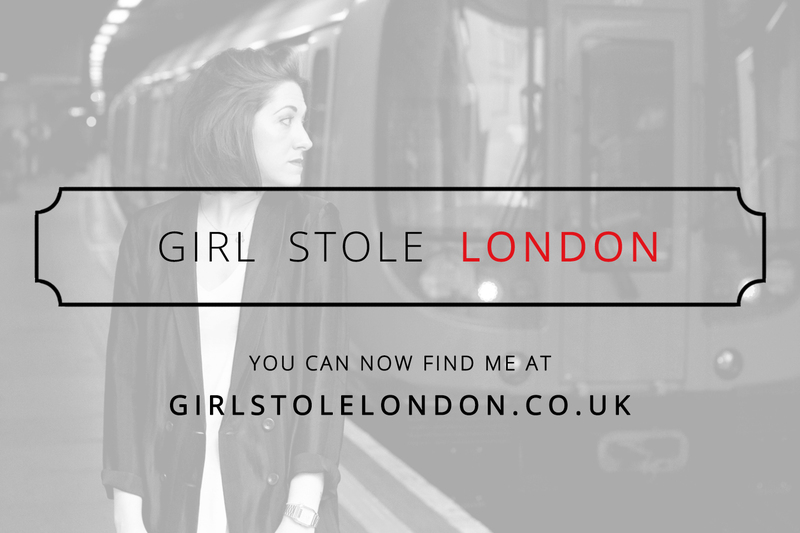 THE GIRL WHO STOLE LONDON has turned a corner in the last few months and I wanted to align my blog aesthetic accordingly making it a little easier to navigate and feeling a lot more like me. I'm beyond buzzin' with the updated design and owe it all the seriously mad skills of Gillian at Elevator Musik. Thanks trillions treacle for your incredible talents and tons of time. What do you reckon readers...?! Anywho lets get back to the garms. Last week I found myself darting between press days like my lickle life depended on it and so needed to look smart but stay snug. Luckily for me my latest outerwear addition ticked all the boxes. Behold my new camel coat from the one and only Zara. How. Fit?! It's my second new coat of the season and isn't it a beaut. Keeping it minimal I shunned the threat of shivers and went for an oversized Never Fully Dressed shirt with sheer denier tights and gave my gladiator boots another go. These are rapidly become my favoured piece of footwear. At least until the snow shows up *eeeeek*. Are YOU cray for my camel coat??? Black + Camel is always a win if you ask me! 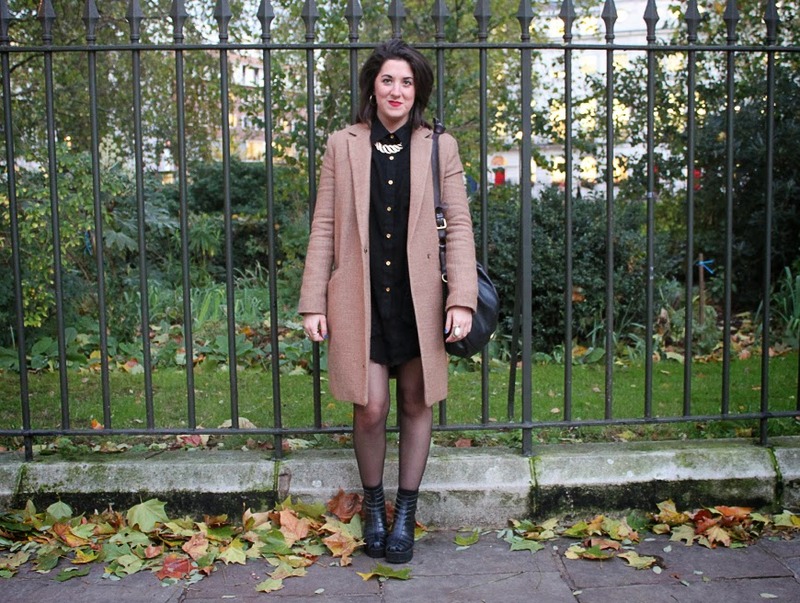 You look amazing - and the blog is FAB! WELL fit hun and LOVE the layout! bladdy gorgeous! I love this look! Your coat is so nice!